“Moore’s Law is dead,” says Doug Balog, General Manager at IBM Power Systems. Due to the constraints of physics, we can no longer expect the doubling of transistor density and performance every couple of years, and the implications for the entire computing and software industries can’t be ignored. In this week’s 5-Minute Interview (conducted at GraphConnect San Francisco), we discuss how innovators like IBM are changing the game when it comes to advances in processor technology with a new open source approach to hardware innovation. And, of course, Doug also covers how he believes this new framework benefits the graph technology ecosystem. Tell us more about yourself and your work at IBM Power Systems. 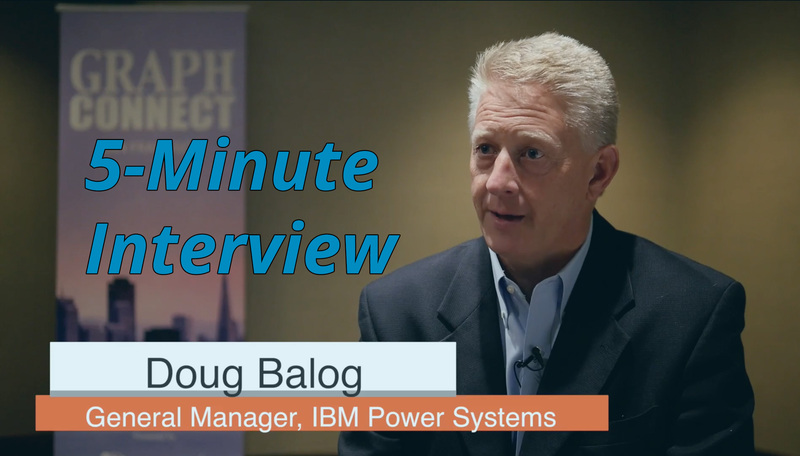 Doug Balog: I run the Power server business for IBM, which includes everything from research and development through marketing and sales, to the entire business responsibility. So, I’m at the lowest level of the technology stack — I’m at the hardware level and I love being there. We think about the Power product and processor as designed for big data. As my team and I got introduced to Neo4j, we saw a perfect marriage. Neo4j brings graph technology leadership to the market with its software and graph database, and IBM provided a first-class platform design for big data with POWER8. And that’s where we found the perfect intersection. We are pretty excited about this combination of Neo4j and IBM, and the value it can bring to our many shared clients around the world who are looking for really a scalable platform for their graph databases. How does Neo4j benefit from being on IBM Power Systems? Doug: With Neo4j 3.1, there is an incredible thirst and benefit to having the data close to the processor. One of the innovations we worked on together is taking what’s already a fairly large memory space — anything from one or two terabytes at the smallest system, up to 16 terabytes at the largest system we offer — and making it scalable. We came across the question, “How do you expand beyond that by leveraging new flash and memory technologies that bring flash into the memory domain?” In response, we developed the technology CAPI flash, which provides a way for flash technology to look like memory. This allows our memory space, which is already fairly large, to be extended even further. We all know that as graph databases capture more relationships and data, the better the insights it can provide. This brings us back to the point of the marriage between graph databases and a system designed for big data, which is where CAPI Flash fits in. You’ve said in the past that Moore’s Law is dead. Can you explain where you think the world of processing hardware is headed next? Doug: It’s a pretty exciting time to be in the hardware business again. We’re moving past an era during which we were riding manufacturing processes, the way in which systems got faster and faster, and therefore delivered processing value to data workloads in technologies like Neo4j and graph databases. We’re in a new era in which Moore’s Law is dead, and I’m not sure if people really understand the implications of this, because we’ve all been so used to doubling the transistor density and performance every couple of years, and making workloads faster based on manufacturing processes. But the laws of physics are getting in the way. (Darn those laws of physics.) They’re getting in the way of seeing that continuous doubling in performance. There’ll be performance gains node to node, but nothing like double. They’ll be 30-40%, maybe even 20%, but not double. We needed a different model. In our view, the disruptive thing happening in the marketplace is this marriage between a really good general-purpose processor, and a whole set of purpose-built acceleration technologies. Flash and memory are a few of those acceleration technologies, but there’s more than just those two. I/O is another acceleration technology, as well as FPGAs – field programmable gate arrays – which don’t have to be programmed. Others will do this special build programming format with Graphing Processing Units (GPUs). That whole set, married with a really great processor like IBM POWER8, is the direction we think the world is moving forward. I don’t think that reality is going to change, because again, unless there’s a breakthrough – which there probably will be someday – we’re starting to run out of steam around CMOS technology. Applications in this big data world absolutely thirst for data and want to run faster, and we do have the answer to that today. Talk to me more about the OpenPOWER Foundation. 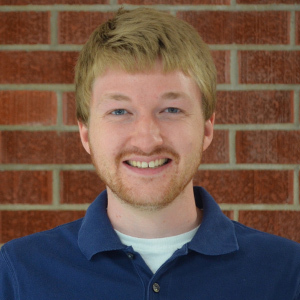 Doug: It’s pretty interesting to understand the history of the OpenPOWER Foundation. It started with big thinkers in the industry coming together — IBM, Google, Mellanox, NVIDIA and TYAN — to discuss the implications of the death of Moore’s Law. This included the need for a new approach in which innovation occurs and workloads continue to run faster. As we got together and brainstormed what this future would look like, we said, “Let’s utilize what currently exists in the industry.” This includes the open source innovation model around software that we all know and love. Why not take that open source model and bring it to hardware? No one had really done it before, but we gave it a try. The second piece was leveraging the ARM processors licensing model that we’ve seen work very successfully. That licensing model led to the proliferation of ARM processors in all of our mobile devices and now ARM is the dominant player in the mobile device processing space. We brought these two models (open source and ARM licensing) together and created the OpenPOWER Foundation a little over two years ago. It started with five guys sketching it out on a napkin and now includes 260 companies around the world that have created hundreds of innovations and dozens of product offerings. We’ve seen phenomenal success for these offerings in high-performance computing and data analytics, including in the fields of big data and graph databases. As we’ve talked about with CAPI Flash plus Neo4j, and really, anything that’s got a thirst for moving data around that wants to accelerate the outcome, as well as do it at scale. That’s the history of the OpenPOWER Foundation. What has happened over two years has been amazing to watch. The community really has solidified around the reality of what’s going on in the marketplace and what we, as hardware vendors, have to do to support the workloads of big data analytics. Anything else you want to add or say? Doug: This is a disruptive time. It’s a disruptive time for companies; it’s a disruptive time for vendors, like myself. You have to be comfortable disrupting yourself — if you’re not, somebody else will disrupt you. That’s why we’ve been boldly going down the path of disrupting ourselves with technology innovation, with new ecosystems like the OpenPOWER Foundation, with partnerships with Neo4j and with our business model. That final piece is so important, because you have to rethink your business model as you go through those other disruptive phases. That’s what we’ve done with the IBM Power Systems business. We’re a very different business than we were when we started decades ago, and we’re very much aligned with the cloud and cognitive computing era in which we find ourselves today. Download this white paper, Sustainable Competitive Advantage: Creating Business Value through Data Relationships, and discover how to leave your competition behind for good.